MMmmm... How to make Homemade Powdered Sugar Do-nuts or Donuts. 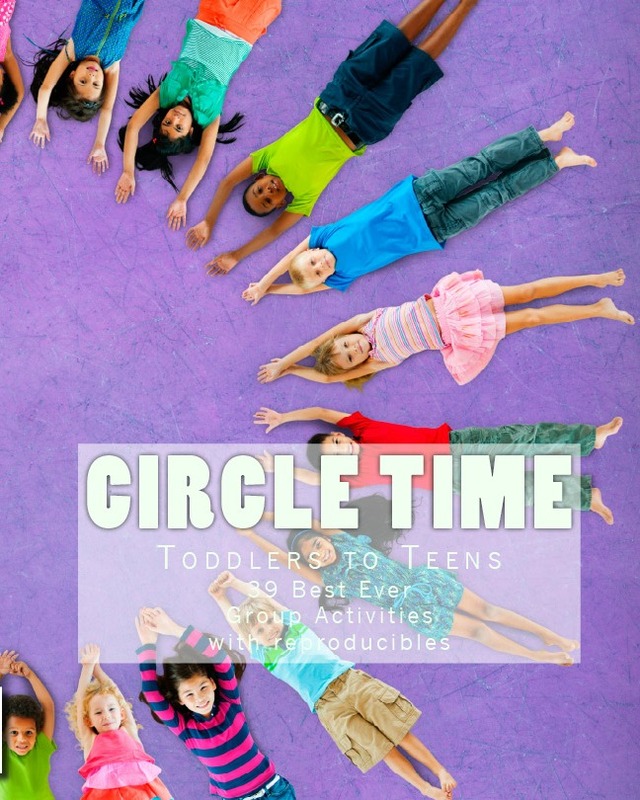 Kids have tons of fun helping make this doughnut recipe. 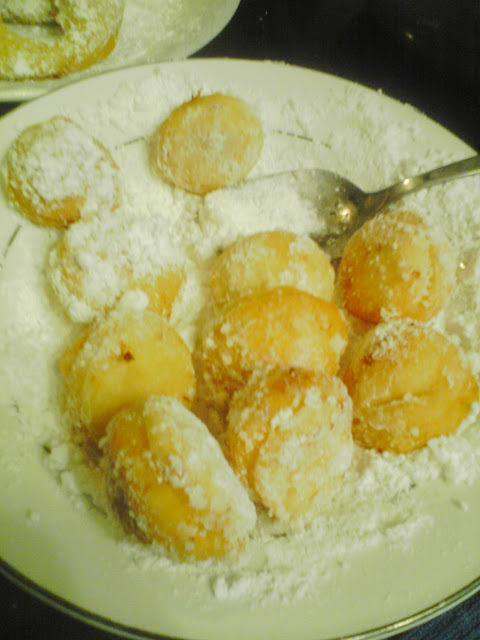 MMmmm... How to make Homemade Powdered Sugar Do-nuts or Donuts. No matter how you spell it they still taste good! 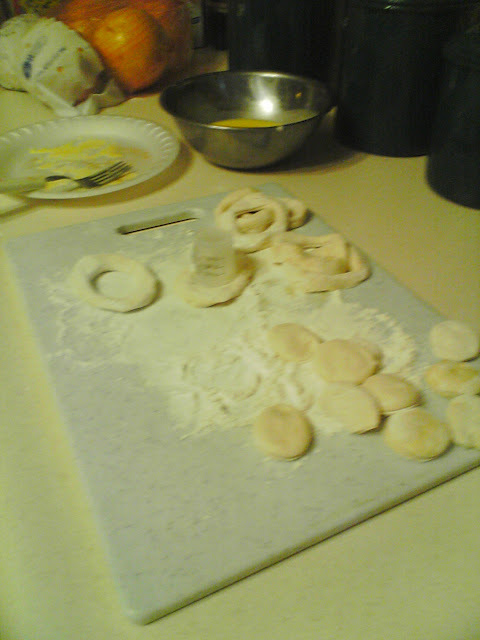 Cans of refrigerated biscuits (buy generic for 25 cents a can), Vegetable or Canola oil, Powdered Sugar, 1 Egg, Milk. Flatten biscuits with a roller or glass. We used a kid's medicine cup to cut the centers out. Roll the centers into balls for the doughnut holes. 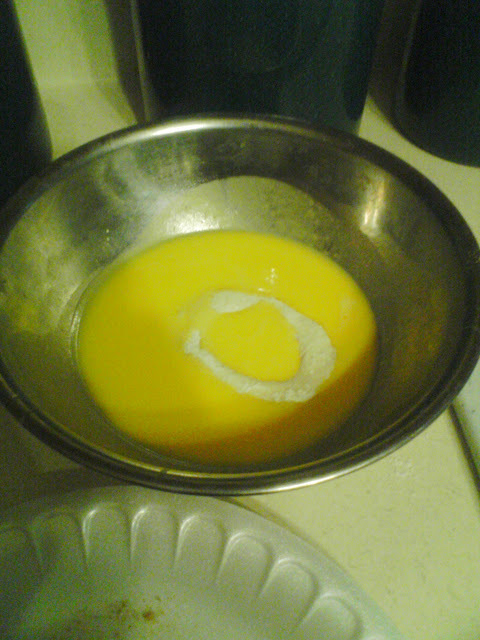 Beat an egg slightly and add a few tablespoons of milk, mix well. 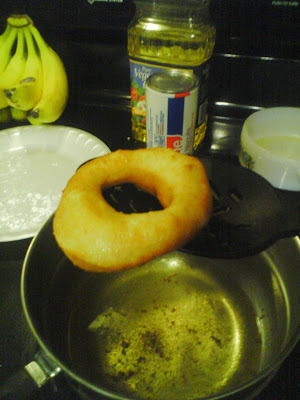 How to make doughnuts at home. Dip your biscuits and centers into the egg mixture with a fork or slotted spoon. Coat well and lay on a plate to allow for drippage. 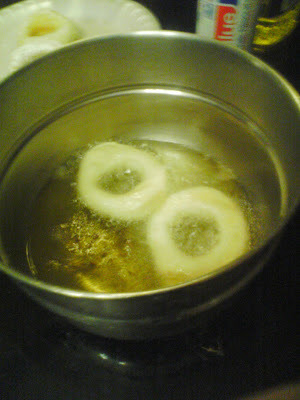 With a slotted spoon, drop 2 or 3 "doughnuts" into about 1/4 Cup hot oil. You can add a drop of water first to check for readiness of the oil. Water should sizzle and bubble. 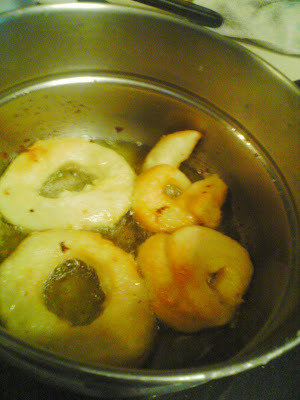 Cook doughnuts about 1 minute each side or until golden. Make fun shapes too. Remove with slotted spoon allowing excess oil to drain off. Roll in a plate of powdered sugar or add your favorite icing and sprinkles. Make powdered sugar doughnuts at home. Thanks for hopping around. These were so good. 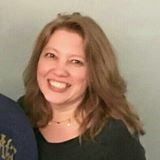 They disappeared in a flash. 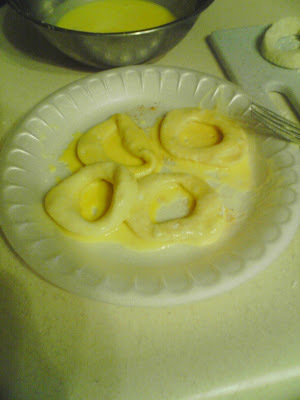 The eggs give them the glaze and help the powder stick.